Don't Panic: The IRS wants to work with you. WASHINGTON — As the nation sinks deeper into recession, the IRS is offering to waive late penalties, negotiate new payment plans and postpone asset seizures for delinquent taxpayers who are financially strapped, but make a good-faith effort to settle their tax debts. It's unrealistic to expect some taxpayers to make timely payments in this economy, Shulman said. However, he cautioned that those seeking help will have to demonstrate their inability to pay. Those who fail to file tax returns, or who simply ignore collection notices, will not be eligible for help, he said. "The most important thing for people to do is to get on the phone or walk into an IRS office," he said. "The worst thing someone can do is go dark and not be in a discussion with us." Just last month, the agency announced a program making it easier for homeowners with an IRS lien on their property to refinance their mortgages or sell their homes. 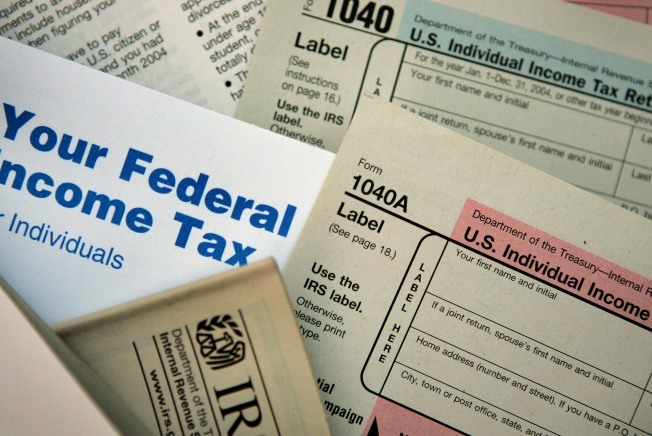 With the filing season for 2008 tax returns opening this week, the IRS expects to process 250 million returns over the next few months, including 130 million from individuals. The new leniency program is geared toward people who have paid their taxes in the past, but who are now facing a financial hardship. "This is not a free ride for people who can actually pay their taxes," Shulman said. The IRS said it doesn't know how many taxpayers might take advantage of the new program for stretching out payments on overdue taxes or even reducing their tax liability, but millions could be eligible. In the fiscal year ending last Sept. 30, the IRS took enforcement action against more than 3 million taxpayers. The actions included property liens and asset seizures, including homes, cars, bank accounts and garnishing wages. This year, even more taxpayers could fall behind in their tax payments as the economy continues to sour. Record numbers of homeowners are falling behind on mortgage payments and the U.S. economy is losing jobs at an alarming rate. Since the start of the recession last December, the economy has shed 1.9 million jobs, and the number of unemployed people has increased by 2.7 million -- to 10.3 million now out of work. The leniency program is an extraordinary step by the IRS, said Ellis Reemer, head of tax litigation at the law firm of DLA Piper. IRS agents, he said, are generally well-meaning public servants who want to work with taxpayers but are often bound by policies that limit their discretion. "This is not a normal course of events," Reemer said. "This is an institutional determination that we are in very difficult economic times." The program was described as the "give the tax man a heart plan," said Steve Ellis, vice president of Taxpayers for Common Sense, a budget watchdog group. Ellis said the program makes sense given the state of the economy, but he cautioned that it should be closely monitored for consistency and fairness. "You don't want people to get off the hook and not pay their fair share," he said. "They need to make sure that it's consistent." The IRS is doing the same thing many private creditors are doing. She said the mortgage crisis, Wall Street meltdown and job losses have left many families unable to pay their bills, said Sharon Price, policy director of the National Housing Conference. However, she worried that many taxpayers won't know how to access the benefits. "The problem is, will it be consistent and how will people find out about it?" Price said. To help explain the leniency program, the IRS has posted answers to common taxpayer questions on its Web site, www.irs.gov. The advice under "What if I can't pay my taxes?" begins with some reassuring words: "Don't panic."